ATLANTA, Jan. 26, 2018 /PRNewswire/ -- Aaron's, Inc. (NYSE: AAN), a leading omnichannel provider of lease-purchase solutions, and its divisions Aaron's and Progressive Leasing, presented teens on Wednesday with a newly renovated Keystone Teen Center at The Salvation Army Boys & Girls Club of Oklahoma City. Through a partnership with Boys & Girls Clubs of America (BGCA) and input from the teen members, Aaron's associates and Club officials worked Monday on painting, decorating and furnishing a multipurpose space at the Club. 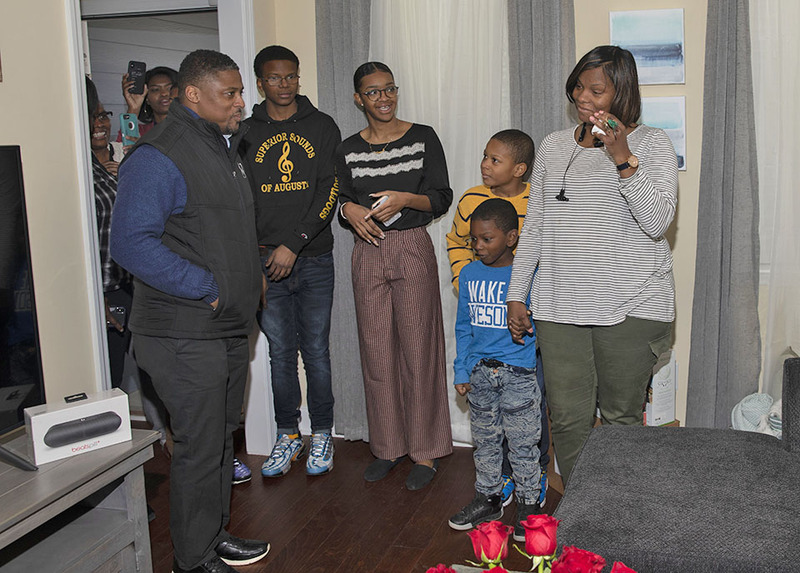 On Wednesday, local Aaron's associates and Club officials unveiled the new space, which is now equipped with new technology, sectionals, tables and chairs, sound systems and fresh coats of paint. Teens chose the special Sherwin-Williams™ paint colors for the space: Balanced Beige, Silken Peacock, Reseda Green, and Chalkboard Paint. "Aaron's is committed to the communities we serve, and we're proud to continue our longstanding philanthropic tradition of giving to these deserving Oklahoma City teens," said John Robinson, CEO of Aaron's, Inc. "We're thankful for our relationship with The Boys & Girls Clubs of America and we join them in their steadfast commitment to offering resources to at-risk teens." 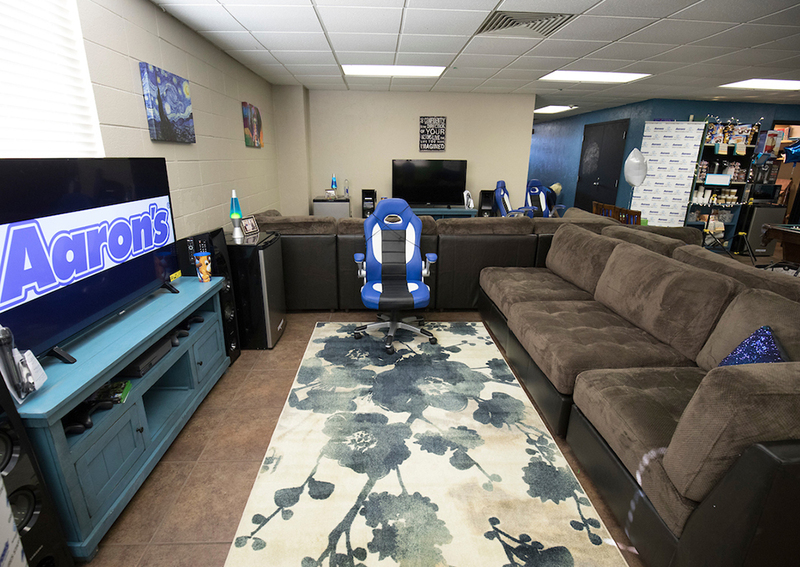 "Aaron's transformation of our Teen Center into a modern, state-of-the-art facility will provide our teens with the tools they need to lead a successful life," said Traci Jinkens, Development Director of The Salvation Army Boys & Girls Club of Oklahoma City. 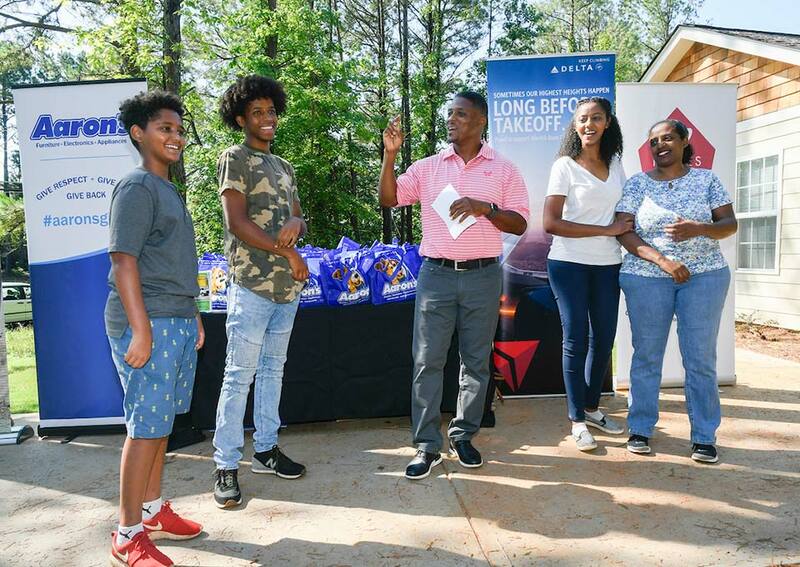 "This partnership with Aaron's has granted our teens a firsthand example of how giving back impacts the community while providing them with the resources necessary to achieve academic and professional success." The makeover at The Salvation Army Boys & Girls Club of Oklahoma City includes an additional in-kind retail donation valued at $25,000. 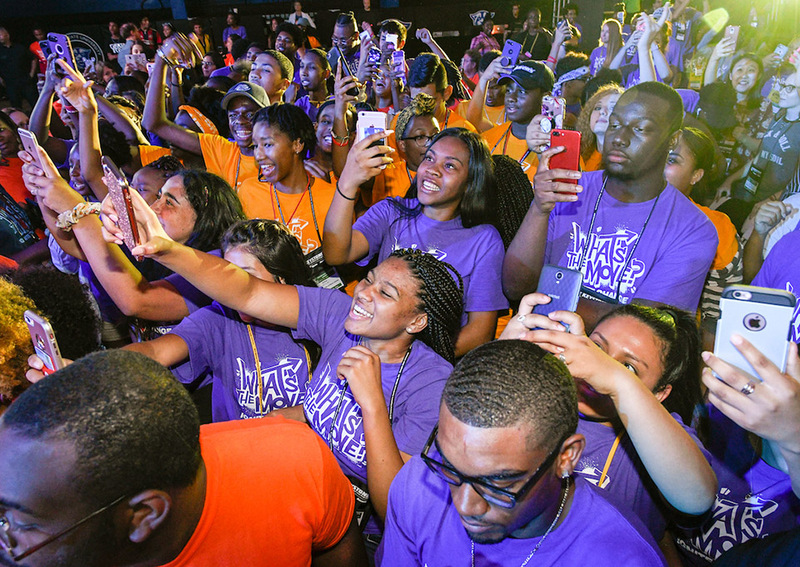 The 24 previous Keystone Club makeovers have included Boys & Girls Clubs in cities such as Baltimore, Los Angeles, San Antonio, Nashville, Las Vegas, Chicago and Milwaukee. Keystone teen members of The Salvation Army Boys & Girls Club of Oklahoma City said the program inspires them to take ownership of their choices to build the lives they deserve. To see photos of the Keystone Club remodel at The Salvation Army Boys & Girls Club of Oklahoma City, visit Aaron's on Facebook (www.facebook.com/aaronsinc), on Twitter (www.twitter.com/AaronsInc) and at www.aarons.com/aarons-gives. Headquartered in Atlanta, Aaron's, Inc. (NYSE: AAN), is a leading omnichannel provider of lease-purchase solutions. The Aaron's Business engages in the sales and lease ownership and specialty retailing of furniture, consumer electronics, home appliances and accessories through its more than 1,750 Company-operated and franchised stores in 47 states and Canada, as well as its e-commerce platform, Aarons.com. In addition, Progressive Leasing, a virtual lease-to-own company, provides lease-purchase solutions through approximately 27,000 retail locations in 46 states. Dent-A-Med, Inc., d/b/a the HELPcard®, provides a variety of second-look credit products that are originated through federally insured banks. For more information, visit investor.aarons.com, Aarons.com, ProgLeasing.com, and HELPcard.com.